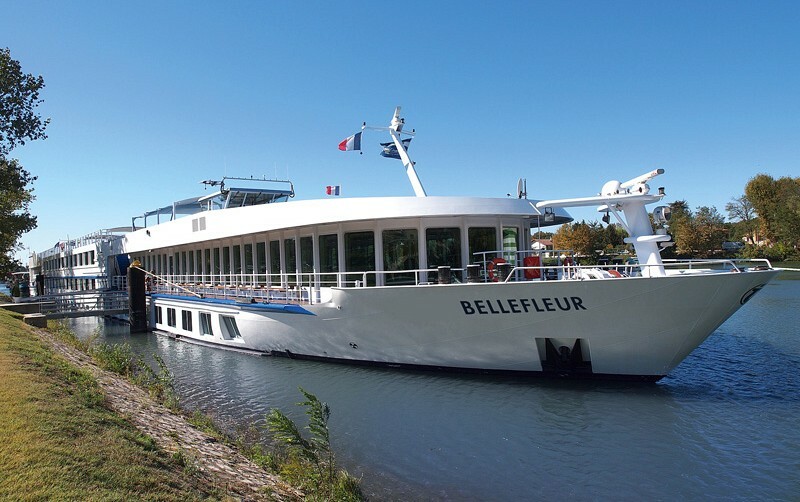 The Bellefleur travels on the Rhône & Saône in France, from Chalon-sur-Saone to Port-Saint-Louis on the Mediterranean. 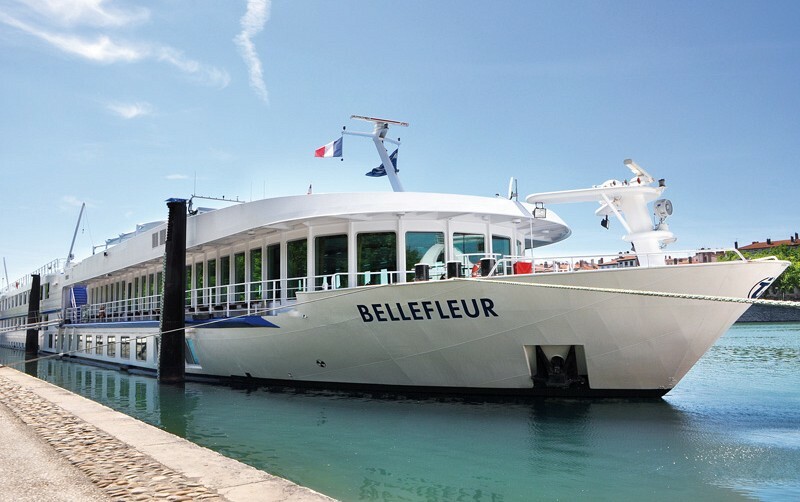 A timeless beauty, the Bellefleur glides through Southern France. 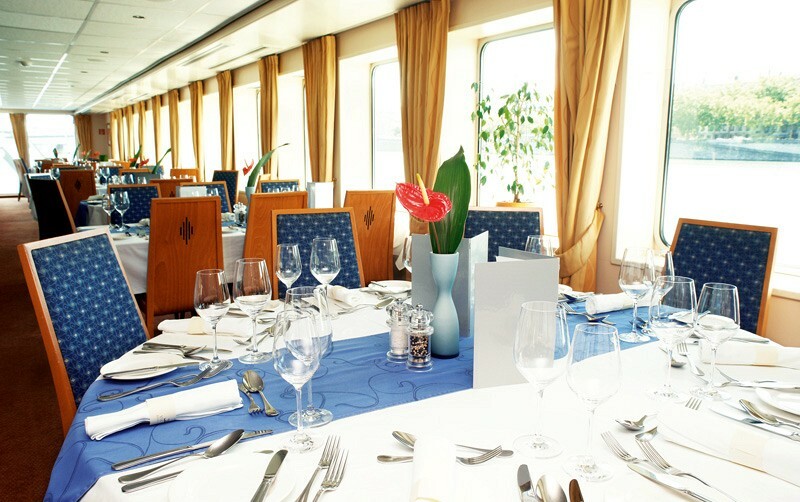 Enjoy the French way of life on board. 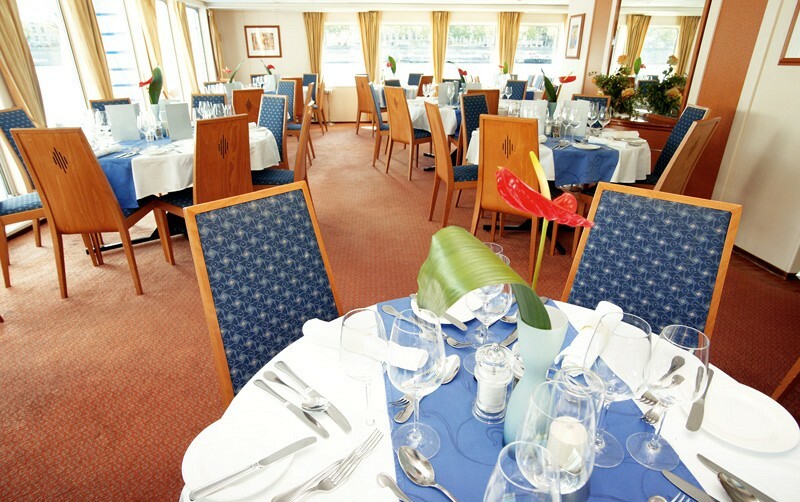 Upon entering the ship experience the comfort and the warm atmosphere. Make yourself comfortable in the panoramic lounge and enjoy with like minded people the world-renowned savoir-vivre of the French. 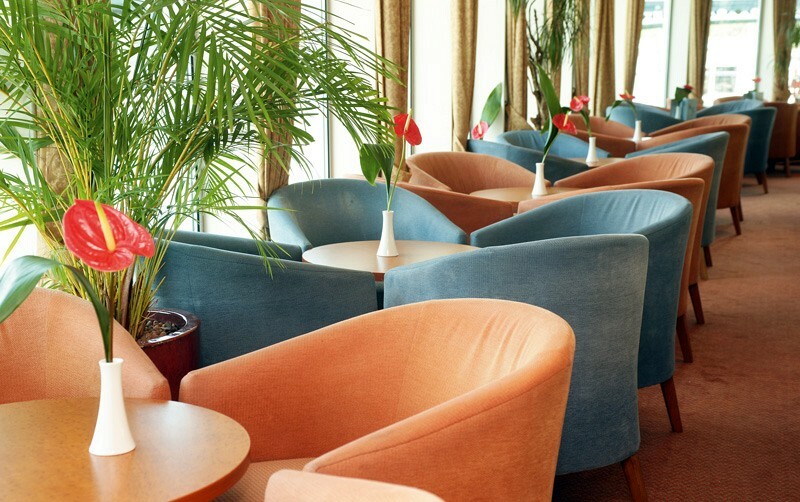 Comfortable lounge chairs and subtle colors make the stay a pleasure. 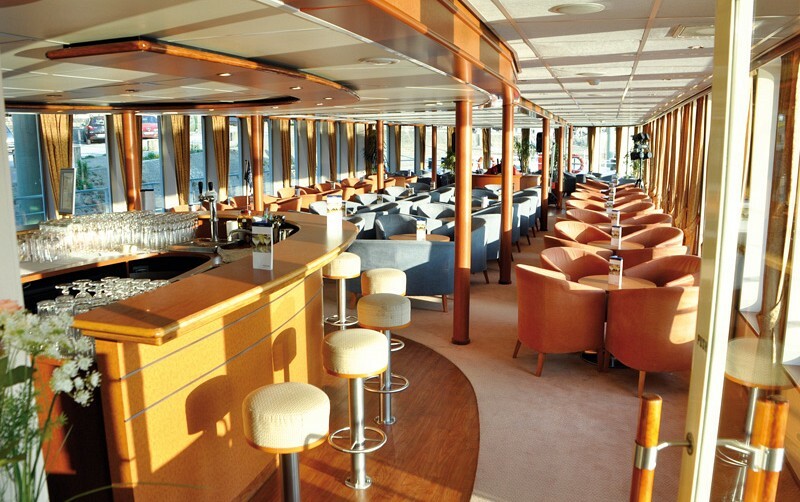 A excellent panoramic view is offered on both sides of the restaurant. With your culinary delights you have a free view of the passing scenery. And if you fancy a good book, feel free to find one in the onboard library. Below are profile details for Bellefleur. If you have any more questions about Bellefleur that you feel are not covered by our website then please feel free to contact us. Our contact details are on the contact page. Cabins on the Bellefleur are largely graded according to size and deck, with ten categories of accommodation available to choose from. All cabins have river views and boast en-suite facilities, including a shower, washbasin and toilet, as well as air conditioning. Guests will find wardrobe storage, a desk, satellite TV, telephone, hair dryer and safe in each cabin also. (Approx size 11sq m) Located on the lower Seine Deck, these cabins are equipped with a sofa bed, Pullman bed and a large porthole window. (Approx size 14sq m) These cabins situated on the middle Saône Deck are furnished with a separable double bed and opening panoramic window. Cat 3, 4 and 5 are located on the lower section of Saône Deck with windows that do not open. (Approx size 14sq m) These cabins situated on the middle Saône Deck are furnished with a separable double bed and opening panoramic window. Cat 3, 4 and 5 are located on the lower section of Saône Deck with windows that do not open. Category 5 and 8 available for sole occupancy. (Approx size 14sq m) These cabins situated on the upper Rhône Deck are furnished with a separable double bed and opening panoramic window.